The love for horses has no limits. Buying a top horse is not easy. It is in the interests of the animal and of yourself to evaluate all aspects linked to the purchase of a horse. One person sees the equestrian sport as a nice hobby, the other purely as an investment. If you wish to purchase a horse, take expert guidance with you. The expert takes into account your personal wishes and assesses whether the purchase is a good “investment”. These experts are often leading, internationally oriented sport horse dealers. They specialize in the purchase, sale and training of sport horses at all levels and in all disciplines. It is clear that people spend a lot of money on a good horse. This is apparent, for example, from the fact that American singer Bruce Springsteen came to the Dutch province of Limburg to buy a horse for his daughter. 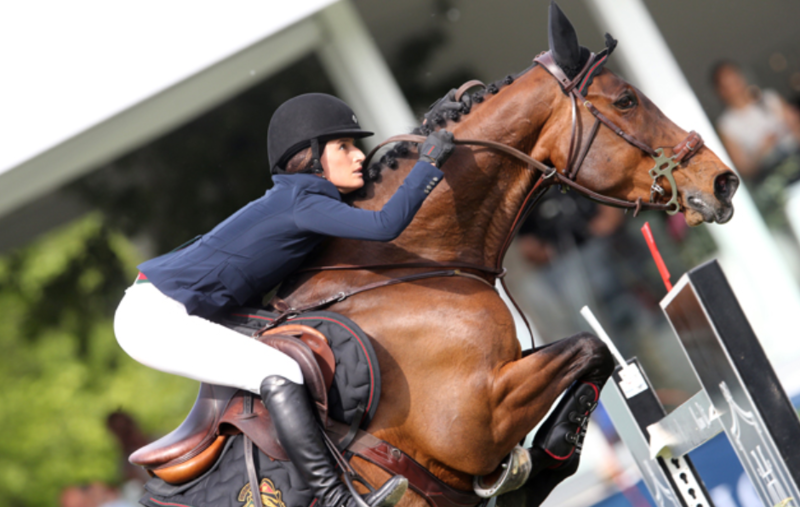 His daughter; the 26-year-old Jessica Springsteen is a jumping rider for Team USA. She has been competing for years in the top of the American jumping. To watch a horse Bruce made a quick stop at Maastricht Aachen Airport with his private jet. After this fast deal he flew straight to Manchester where he had to give a performance that same evening. What do top horses and private jets have in common? The fact remains that top horses are not bred in an urban environment. Often horses are bred in a more rural environment outside the big cities. Since airports often have connections with larger cities it is difficult to quickly travel out and back aiming to visit a horse or stable. This is the reason why more and more people use a private jet or air taxi. When using a private jet or air taxi you can land closer to your final destination. Hence you do not lose time in traffic jams to a large airport or in the long security and check-in queues at major airports. A private jet awaits the passenger and not the other way around. If the horse sale is closed or the inspection of the breeding is finished, you can immediately leave again. By private jet or air taxi to the Equitana! The Equitana in Essen (Germany) is the largest equestrian sports fair in the world. From 9 to 17 March 2019 riders, breeders and horse lovers will find everything that makes their heart beat faster: 1,000 horses, including many rare breeds and the currently most coveted stallions in the world, lessons with world and Olympic champions and more than 850 “shops”, the largest shopping promenade in equestrian sports. The horse fair makes Essen the world city of the horse for nine days. Equitana brings together the common passion of equestrian groups, driving styles and disciplines. To travel up and down the trade fair it is best to fly to Flughafen Essen Mülheim, this airport is an 8-minute drive from the Messe in Essen. Calculate in the Fly Aeolus calculator the costs for a flight from your location to Flughafen Essen Mülheim!